The book telling the story of the Granary Club was a four year project which Al could not have completed without the help of a team of dedicated music enthusiasts. Brian began his musical career in the Sixties with local group The Toombstones and later did a stint playing the clubs and bars in Germany. He was in the Renegades and in Badger and then in 1969 he became the owner of Bristol Musical, the shop in Kingsdown that until 2002 was THE place to go for everything from a plectrum to a Marshall stack. You could also rely on being able to while away the day enjoying Brian’s genial banter as you discussed the merits of all the local bands. Brian’s vast knowledge of all the local musicians and bands was invaluable as well as the massive collection of publicity photographs and posters that, at one time, adorned the walls of Bristol Musical. 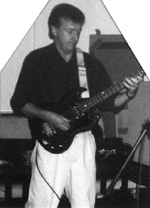 Long term Granary member and front man for Is It Art who made a memorable appearance at the club in 1981. Paul was involved in the book almost right from the start when he spent many hours researching the biographies of the groups. Paul’s memories of the Granary can be found on page 147 of the Granary book. 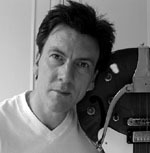 Drummer Shane played in many of Bristol’s punk bands most notably with Vice Squad. He is a journalist and critic with his work appearing in several music magazines. 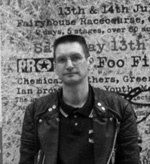 Shane provided the text and virtually all of the graphic material for the bands in the book that fell into the punk, new wave and indie categories. Jonny appeared on Al’s radio rock show back in the Seventies and was admired by all for his creativity, acid wit, sartorial elegance and gravity defying hair styles. Musician, singer and songwriter with success in Europe and Japan he regularily checked Al’s work on the book to bring the free form grammar, spelling and construction into line with modern day standards. Guitar enthusiast (he’s got loads of ‘em) and music lover (he got loads and loads of CDs in his collection) who worked on the final stages of the book to bring all the constituent parts into a coherent whole i.e. he made sense of it all! 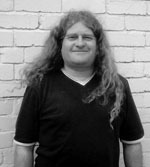 Mark was involved in both the local folk and the rock music scene in Bristol and ran the successful internet record store Vinyl Attic. He has an infinite knowledge of far out and progressive cosmic rock which came in very handy when researching Granary groups. His amusing memories of the Granary can be found on page 225 of the book . Also generous helpings of thanks to those whose input of photographs, memorabilia and information to the production of the book was invaluable including Terry Brace, Ed Newsom, Mike Tobin,Steve Webb, Rodney Matthews, Andy Fox, Tony Dodd, Glenn Daniel, Tom Andrews, Robin Askew, Derek Baker, Adam Cole, Adrian Copley, Mike Darby, Simon Edwards, Kevin Fortey Jones, Nina Franklin, Geoff Leonard, Peter Moody, Ed Newton, Dave Percival, Veronica Smith, Sean Thompson, Oli Timmins, Keith Warmington, John ‘Boffin’ Waterhouse and all the musicians and music-lovers who made the Granary the best gig in town. Thanks to the publications used in the research including the Bristol Evening Post, Venue Magazine and its predecessor Out West, Terry Hounsome’s ‘New Rock Record’ (an anoraks delight), Tony Jaspers ‘Top Twenty Book’ and, of course, the range of Guinness music reference books. Also used were the web sites: Allmusic.com and Artistdirect.com. Thanks also to Buddy Holly and Lonnie Donegan for starting a skinny teenager off on a life time of musical discovery. A massive thank you to Charlie Thomson, Justin Morgan and the rest of the Richard Bright renal department at Southmead Hospital.